Color code your cleaning! Doesn't scratch, doesn't smell, but cleans really well. 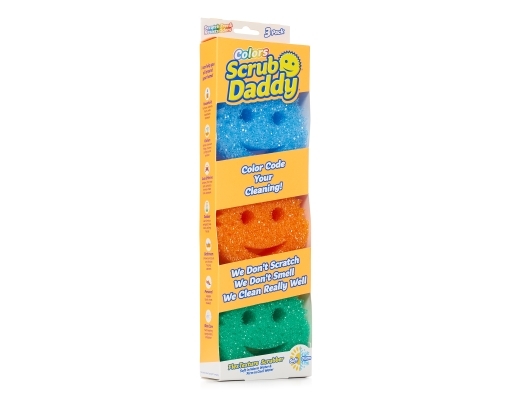 Scrub Daddy puts the clean in good clean fun. 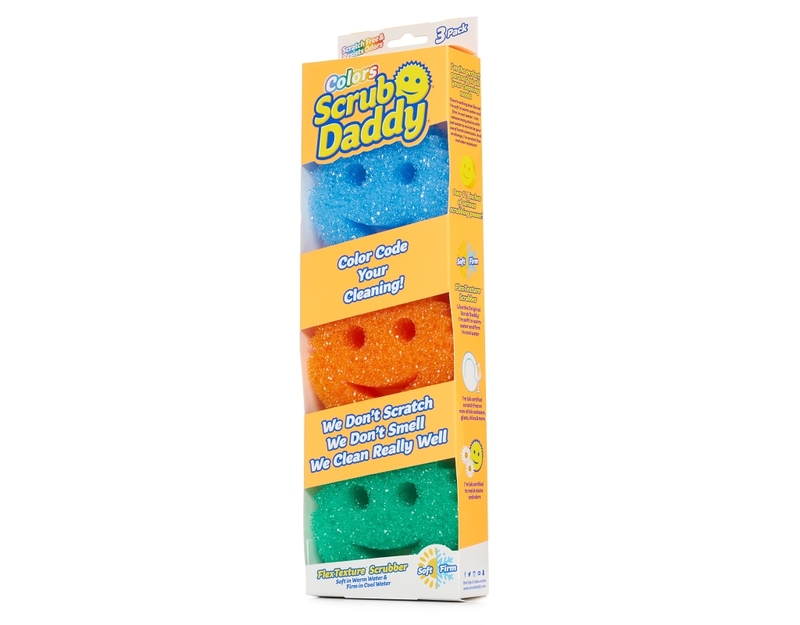 Scrub Daddy FlexTexture technology and smiling design bring form and function to life…with an extra helping of fun. 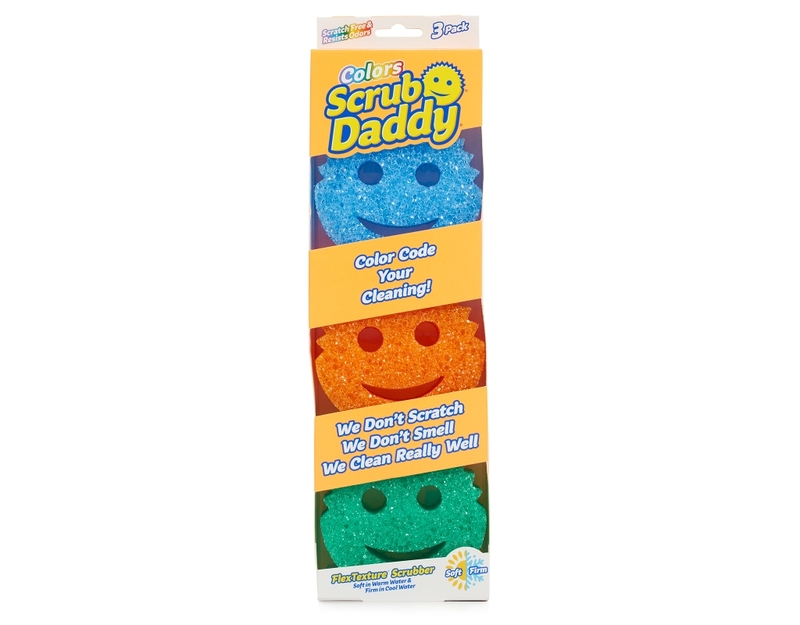 Color-code your cleaning with cheery orange, blue and green sponges to make cross contamination a thing of the past. 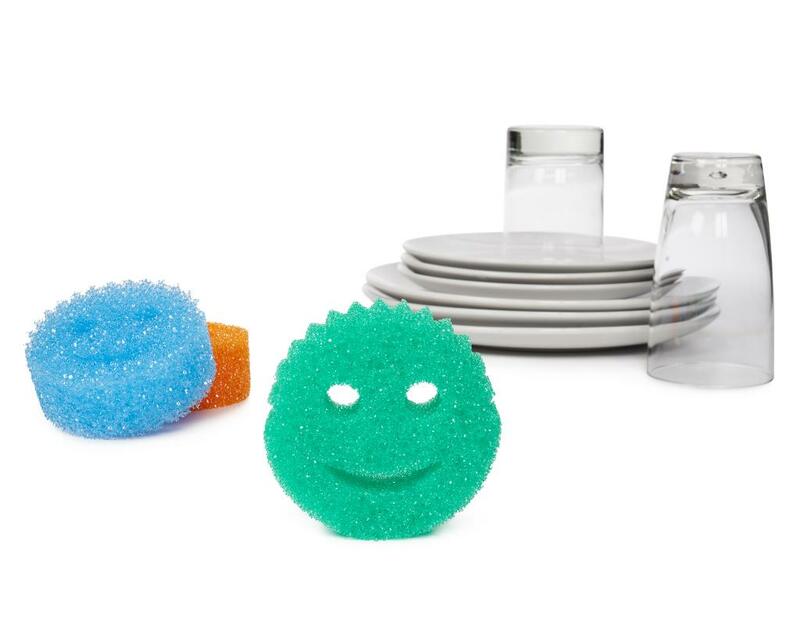 • Scratch Free: Safe on non-stick pans, stainless steel and other delicate surfaces. • Dishwasher Safe: Rinses clean and can be sanitized in the dishwasher. 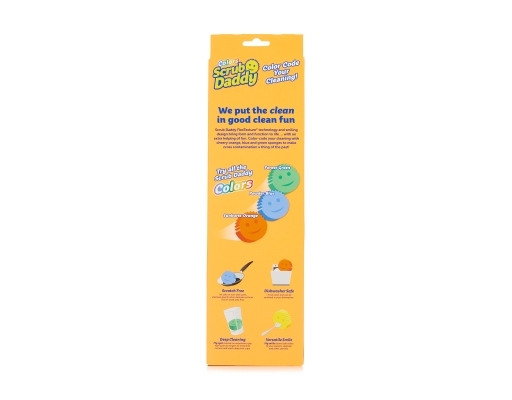 • Deep Cleaning: Designed for an ergonomic grip to mold into corners and reach deep into cups. 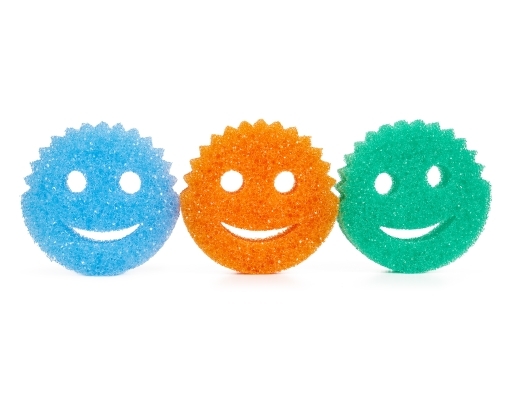 • Versatile Smile: The SMILE cleans both sides of your spoons, spatulas and other utensils.